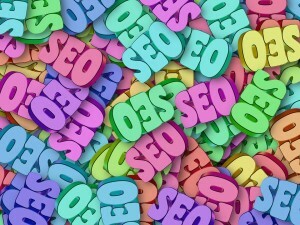 Search engine optimization requires tons of work. In addition to the initial content creation and site management issues everyone faces, there is also a need to maintain presences in search and on social media, to further refine keyword targeting and content marketing, and to promote brand awareness in a variety of other ways. Analytics and metrics can be used to collect information about a brand’s progress, and this data is absolutely vital to long-term success. Analysing this information will help you determine what needs to be done and what needs to be corrected – but not all metrics and indicators are truly valuable. Today, we’ll review which SEO indicators and rumours don’t mean much in the grand scheme of things, which will help you avoid obsessing over them or otherwise reading too much into such data. In the new era of hundreds of top-level domains, there are plenty of rumours surrounding the concept. For domains like .info and .biz, there have been rumours specifically that indicate these domains are not as valuable as others. In fact, some people claim that these domains can proactively hurt a brand – whether through earned links on such a domain or through actual possession of such a domain. The truth of the matter is that search engines like Google do not in fact penalized websites for having a particular type of domain. When you’re pinging for SEO and building long-term brand presence, do not worry about a particular TLD impacting your ability to do so. While clickthrough rates matter when dealing with paid content and digital marketing campaigns, the effects that CTRs have on influencing its main search engine rankings is dubious at best. Google proactively has denied that clickthrough rates have any effect whatsoever on this metric. Whenever webmasters and bloggers obsess over the specific CTRs for their pages in email marketing, social media and beyond, it is only natural that such obsessions would carry over into the world of search. However, search engines weigh a variety of other criteria in order to determine rankings in search engine positions and prevalence in keyword-related searches. Because of this, you shouldn’t obsess over the CTRs you are able to see in a variety of mediums as being indicative of influencing search position. In recent years, many shrewd webmasters and bloggers have attempted to purchase older and once-prevalent domains once they become available, with the goal being to take advantage of such authority to leverage better search engine rankings. While pinging for SEO features literally hundreds of considerations, this particular metric is not inherently important. Google, for instance, denies that domain authority plays any role whatsoever in its algorithms. Other search engines – like Bing – have never issued any statement on the matter, but it’s likely that they too follow the pattern of Google. When making decisions on where to link or what domains to purchase, do not let the concept of domain authority affect your overall SEO planning efforts. Can Targeting Females Produce Better SEO Outcomes? Why Is Facebook Enabling Autoplay with Sound Against Users’ Wishes?